It's a good idea to protect the interest of our skulls interior by way of a safeguard. 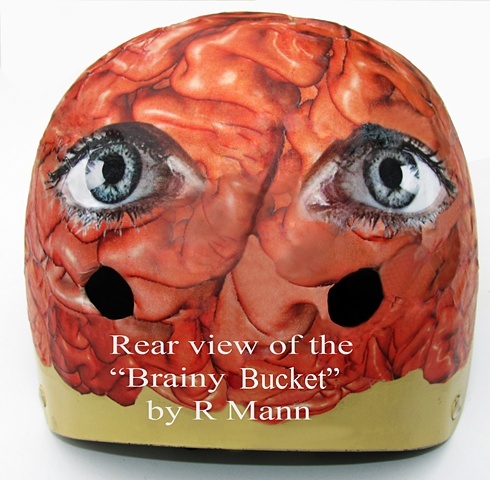 The "Brainy Bucket" helmet design is a humorously innovative concept to enlighten the perception for protecting and preserving one of the most valuable physical organs for those at play. Click below to view this avant-garde "Brainy Bucky" appearing routinely in action at the Venice Beach Skateboard park.